We have just completed delivery of our first FAB Dock in Victoria. 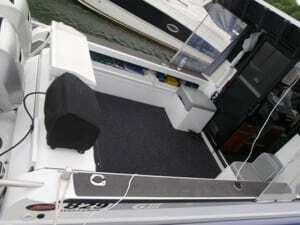 Graham took delivery of his FAB Dock for his immaculately presented 8.3 metre Stabi Craft. Of all the amazing options, accessories and personalised items that Graham has managed to build into his boat; it is the “loo with a view” that took the cake. 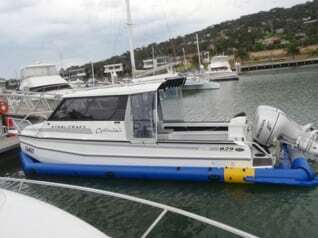 As Graham and his wife are in the enviable position as being able to spend much of the winter months living on their boat in either the Whitsundays or Cairns, his morning view over the Coral Sea and reef is one of a kind.